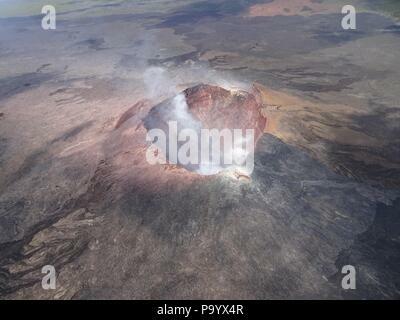 Aerial photo of Halemaumau and part of the Kilauea caldera floor at the summit as the volcano continues to erupt July 13, 2018 in Hawaii. In the lower third of the image, you can see the buildings that housed the USGS Hawaiian Volcano Observatory and Hawaii Volcanoes National Park Jaggar Museum. 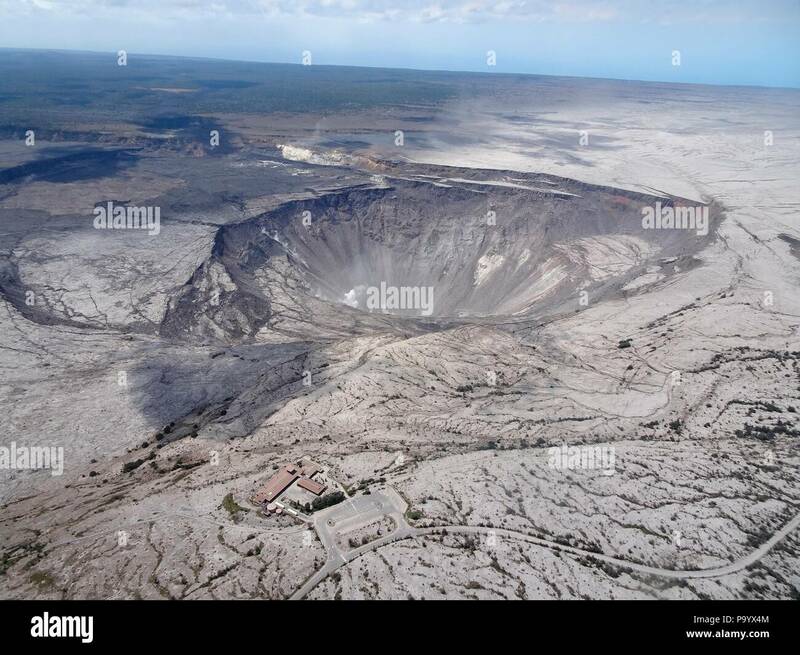 Aerial photo of Halemaumau and part of the Kilauea caldera floor at the summit as the volcano continues to erupt July 17, 2018 in Hawaii. In the lower third of the image, you can see the buildings that housed the USGS Hawaiian Volcano Observatory and Hawaii Volcanoes National Park Jaggar Museum.